It took a long time but we have finally launced Building a Word-Class Law Firm. 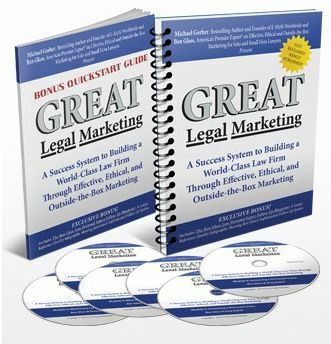 Michael Gerber (E-myth) and I walk you through the mindset, systems, and strategies for getting clients in the door for your solo or small law firm. Check Out Michael Gerber Building a World-Class Law Firm with Ben Glass.